Easily create WordPress sliders based on blog posts, pages, products, testimonials, and other custom post types. Do you want to create a featured content slider in WordPress? Soliloquy’s Featured Content addon allows you to create a responsive slider based on your blog posts, pages, and/or other custom post types. 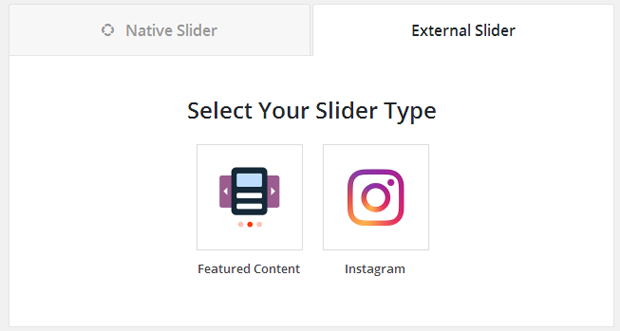 This means, you can create a slider with your featured blog post and their thumbnails. If you’re using a testimonials plugin, then you can create a slider of your testimonials. If you have a real estate plugin, then you can create a slider of your property listings. Basically Soliloquy’s Featured Content addon allows you to create a responsive slider based on your website’s content. We took the pain out of creating WordPress sliders and made it easy. What are you waiting for? Get started with Soliloquy today!